Keep an open mind when researching available adoptions. If a pet was abandoned it doesn’t necessarily mean that the animal is unhealthy or troublesome. Focus on the positive of trying to help an animal in need! You can probably imagine that choice might be limited if you are looking to adopt a Siberian Husky. There simply might not be any of the breed in need of rescue in your area. When you do find one, it might have been cross bred and not look or behave exactly like the breed standard. Just like finding a puppy through a breeder, patience is the key. Furthermore the age of the dog will vary. You might find a puppy, a growing dog, or an older dog. This can be a good thing! Perhaps you are new to the breed and would like an older dog that has already undergone some training? Then adoption could be a convenient alternative to raising and training a puppy. Pretty much all rescue agencies and animal shelters will already have had the dog checked out for you. Vaccinations, de-worming, flea treatments, and de-sexing (neutering / spading) are likely to be part of the service. You can always get your own vet to check the animal out before committing. Of course some Siberians have been let go because of health issues, and these are likely to be identified to you when being introduced to a potential adoption animal. No particular health issue should stop you from adopting a Husky, but you might want to consider present and future costs if surgery is required. Again, your vet can help advise you on such issues. Siberian Huskies can be difficult to train at the best of times. If you are adopting a Husky puppy then you will have more control over training than if adopting a dog already trained (or not, or poorly trained, as the case may be). This shouldn’t stop you from adoption, but you do need to be aware that re-training an older Siberian with bad habits will require attention. But this is not that much different from training Husky puppies! Either way your persistence will be rewarded with a well-behaved dog. Firstly check your local animal welfare organisations, animal pounds, council rescues, etc. These are the places that sometimes struggle to adopt out animals and need your help. We have started putting together a list of Siberian Husky Rescue Organizations to help find one in your area. Ask your local dog clubs, particularly Siberian Husky dog clubs, who will be able to recommend places to check out. Some dog clubs even run their own rescue service, helping to place Siberians in to new homes. 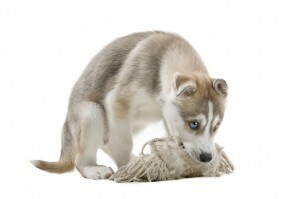 Siberian Husky breeders should also be able to give you some advice on where to visit. Some breeders might also give away pets if they are struggling to find homes for a litter. Finally you can ask your vet for advice. They will have contact with local shelters and be able to give specific advice on what you should be looking for. Whilst some private owners might be willing to part with their dogs at no charge, organizations such as clubs, shelters, and rescue agencies are likely to charge a fee of between $50 and $200. This is to cover health checks, vaccinations, the de-sexing of the animal, microchipping, and of course help the organization’s survival. The fees charged are very reasonable for the service they give to your community. Many times you will be able to take your adopted Siberian Husky home on a trail basis. In fact some organisations require it, to ensure the animal is placed in the right home. The trial might last for a month and during this period you will be visited to see how well the animal is doing. We want to see if the Husky is warming up to your family and lifestyle, and a good “fit” is made. Sometimes matches don’t work out, or the trial extended. Keep in mind the agency is doing this for both your benefit, and the animal’s. If the animal is taken back it doesn’t mean you “failed”, it just means the match wasn’t a good one this time, but you can try again with another dog. So there you go. 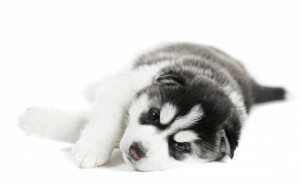 We covered many issues to keep in mind when searching for a Husky to adopt, or as an alternative to purchasing a new Husky puppy. Be patient with your search, spread yourself out to make contact with lots of organisations, and consider a trial placement once you think you have found your new family pet. By taking time at the start you will find an appropriate Husky for your lifestyle and share a great life together!